Sunday Practices in January 2016 – Notice the time changes!! Ready for some kangeiko (寒稽古)? Due to scheduling conflict with Greenhill, our next Thursday (Nov.19, 2015) practice will be delayed by 15 minutes. So instead of the usual 7:15pm, we will start at 7:30pm. Kazuhisa Kaneda (金田 和久) Sensei, Iaido Kyoshi 8 Dan, teaching at International Budo University in Katsuura Japan, is 8 times All Japan Iaido National Champion. This seminar is hosted by Idaho Kendo Club headed by Robert Stroud Sensei. The appraisal team coming to the US in 2016 will be headed by Mr. Miyano Meiji 宮野貞司 (health permitting). Miyano Sensei is one of the very top sword judges in Japan. He has devoted more than 50 years, the majority of his adult life, to the research and study of Japanese swords and their fittings. Mr. Ohashi Hiroshi (大橋博) is an expert in Japanese sword fittings. He is a senior member of several private Japanese sword fittings groups and has written extensively on the subject. Other members of the appraisal team include Mr. Kawashima Shin’ichi (川島慎一), and Mr. Yagi Hideo (八木秀夫). 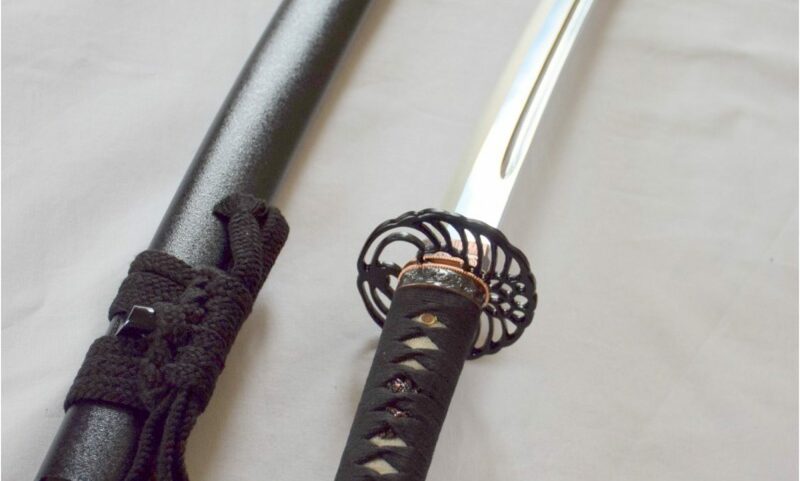 Their work in Japan is highly respected and they are regarded as one of the top two appraisal teams in the world; the team is second only to the Nihon Bijutsu Token Hozon Kyokai (NBTHK) in the number of swords they receive each month for appraisal. Those wishing to submit swords and/or fittings (tsuba, menuki, fuchi-gashira, koshirae, etc.) for shinsa must first reserve a space and pay a $100 deposit per item (payment by check made out to “C and M Partners” and sent to Chris Bowen at his PO Box below). Items passing shinsa will require an additional fee of $175 payable at the completion of the shinsa (cash ONLY). For those individuals who wish to submit items for shinsa but are unable to attend the event, we will offer a submittal service at $100 per item plus return shipping costs (include the mail in fee with your reservation payment). Items should be shipped registered mail/insured at least 2 weeks prior to the event. Items will be submitted to shinsa on Thursday, February 25, 2016. Items will then be repacked and returned via registered mail the week folllowing the event. Those making a reservation for the mail-in shinsa will be notified a month before the event of the shipping address. A kantei-sho, or appraisal certificate, with a picture and description of the item will be sent to the owner from Japan following the shinsa. The owner will also receive a copy of the shinsa team’s worksheet which will describe the sword/fitting and indicate the period, maker (or school), and point score at the conclusion of the shinsa in Tampa. We encourage those interested to make their reservations sooner rather than later as space is limited and usually sells out well in advance of the event. The 18th Annual Detroit Open Kendo Tournament will be hosted by the Detroit Kendo Dojo on February 13th and 14th, 2016. The guest sensei will be Eiga Naoki (栄花直輝) and his brother Eiga Hideyuki（栄花英幸). Our dojo Christmas party is going to be held at Mr. Sushi on Sunday, December 13, 2015. Dinner starts at 7pm. Cost is $30 for anyone who comes to the party (even if you just come to hang around). Kids under 5 will be free. Please make the payment in advance. You can use the dojo payment page (Paypal) or give cash/check to Apinya P. Sensei.